I am forever indebted to Linda at Calling it Home for helping me find my latest treasure!!! 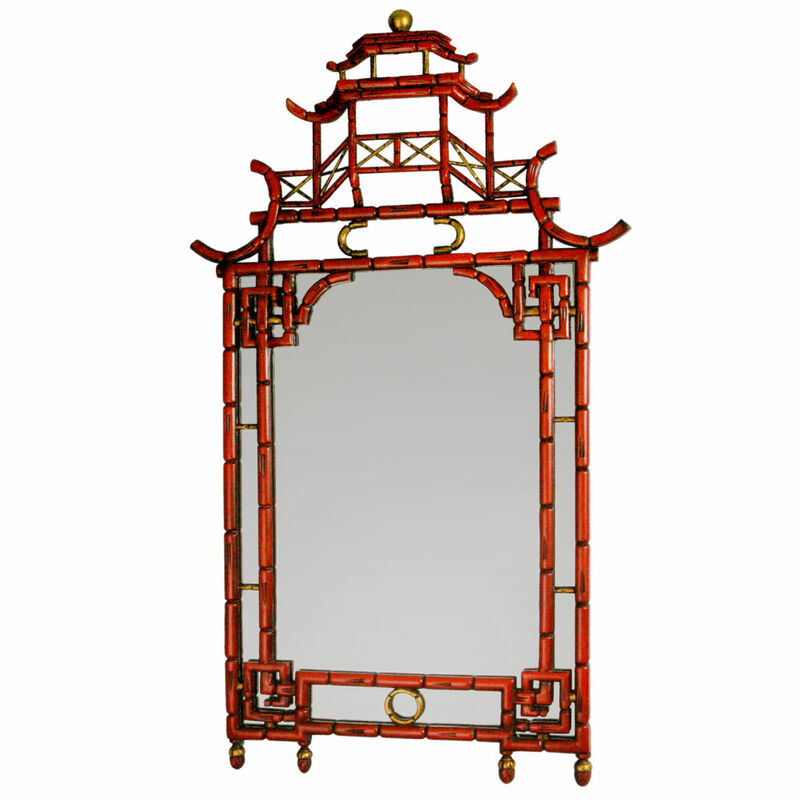 I have been on a major quest to find a bargain-priced vintage pagoda mirror for quite some time. Not an easy task, as many of you know!! Linda and I were emailing one day about her upcoming move to Florida, and I told her how great the bargain shopping is here. Linda and I are both Craigslist junkies, and I have found some pretty incredible deals here in the Sunshine State. 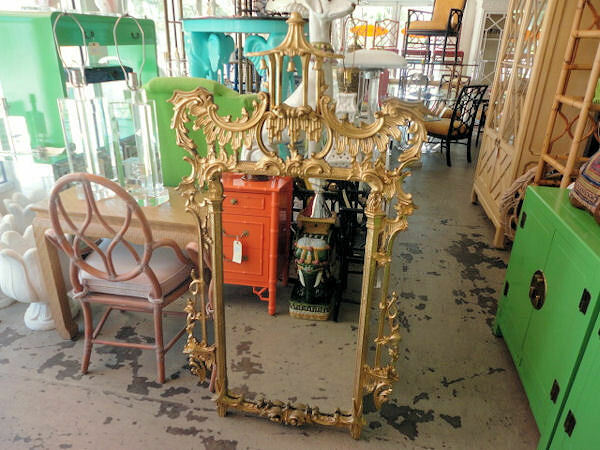 In my email, I mentioned one recent gut wrenching CL gold mine… a vintage pagoda mirror for sale in Fort Lauderdale listed for $80 I missed out on by mere moments. A few weeks later, Linda (who has been stalking Florida CL in hot anticipation of her move) emailed me a link to this beauty for just $250! 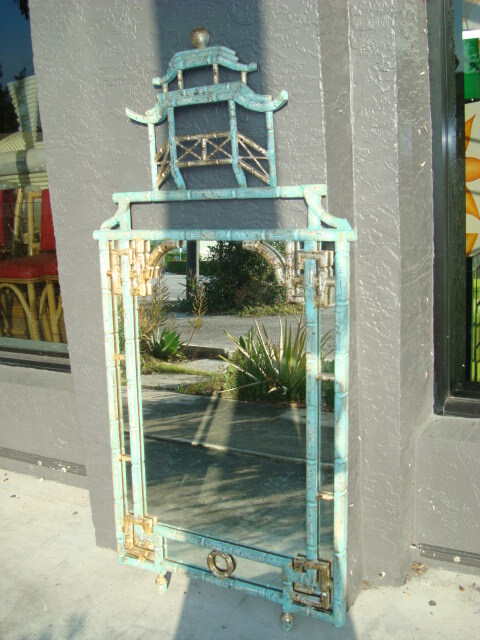 My pagoda mirror was living several hours away in Punta Gorda, but my darling husband was able to pick it up for me while in the area on business. Mission accomplished!! I am thrilled!!! 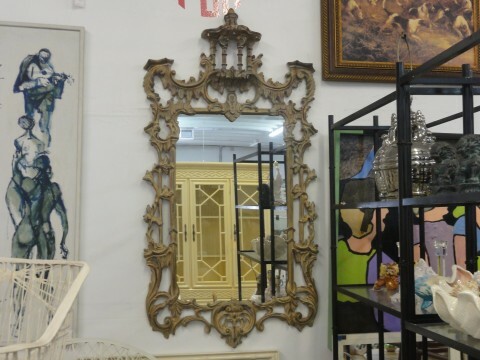 I will be hanging the mirror either in our dining room or in our entryway, I have not decided for certain. 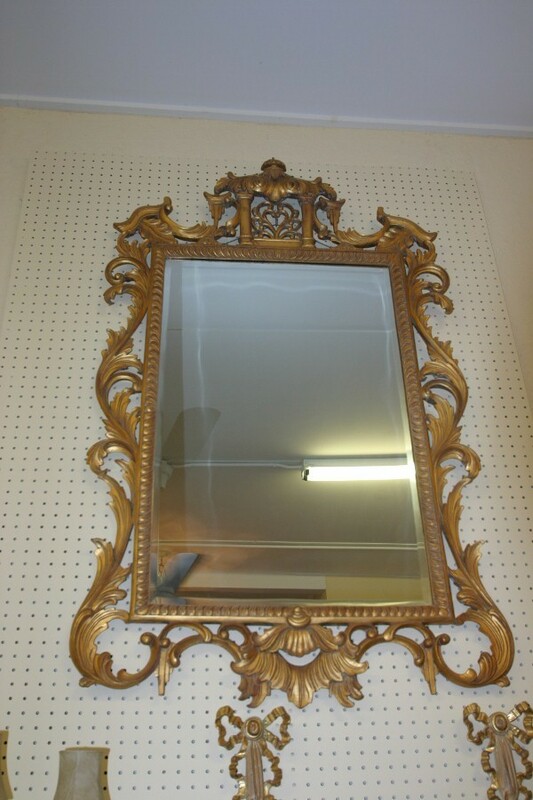 And I will most likely be painting it, as the gold paint has seen its better days. What a great purchase! 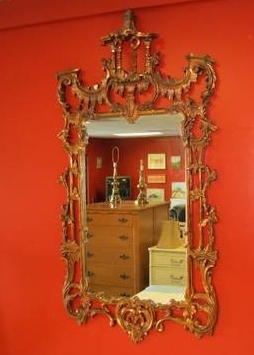 I recently purchased a bamboo mirror from an old dresser. I hung it in the kitchen and use an erasable marker to write my grocery list on it and check my hair before running out the door. You are so welcome. Thanks for the link love! If I couldn't have it, I wanted someone I liked to grab it. I really like the white one, maybe that color? Oh wow!! I love it !! Classic and gorgeous! 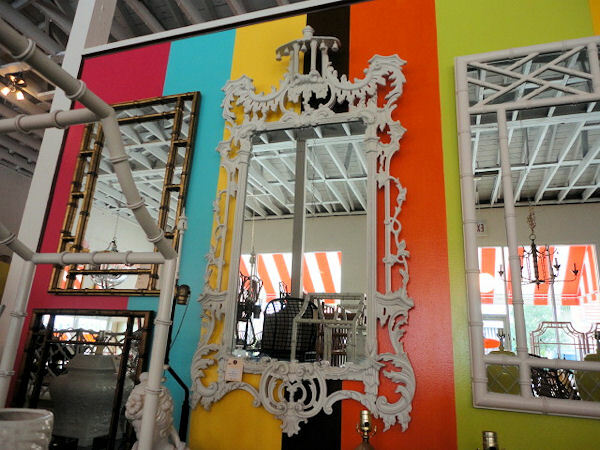 How I'd love one of these for my dining room! What a fantastic score! What a beautiful find! Im so jealous, it is magnificent. That Linda is the bomb. Love you both.